This farm house located in heart of the town, has been totally redone. It is very nice with open floor plan and sunny rooms. Most rooms have pine floor or carpet. New roof 2017; new water heater 2018, The gas propane furnace is about 11 years old; gas cook top! Washer/dryer and all the appliances will convey . Nice large level back yard. The upstairs rooms don&apos;t have closets. There is a flue in the living room for wood stove. 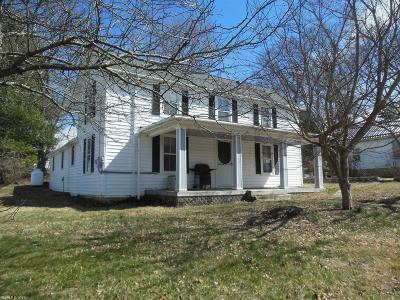 This home is 3 blocks from Amilios, very close to Christiansburg Rec center, shopping, I-81 and VTech.